Panorama Test gives to pregnant women the opportunity to perform a prenatal screening, to evaluate chances of chromosomal fetal anomalies in a completely safe manner both for the mother-to-be and for the child. 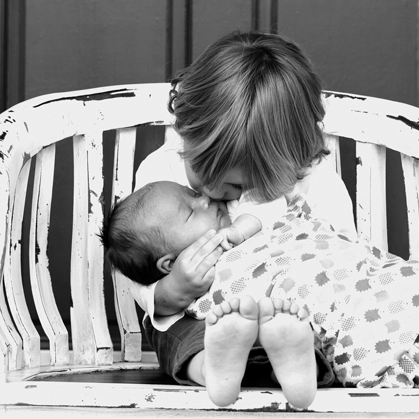 It is a NIPT (Non-Invasive Prenatal Testing), a major modern evolution in prenatal screening methodology. 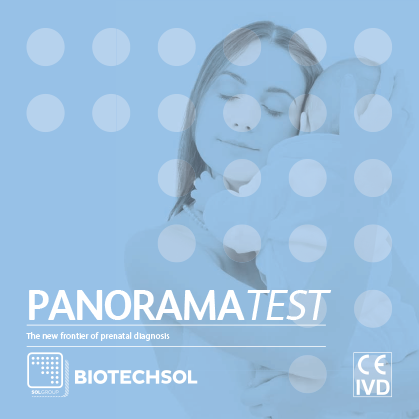 BIOTECHSOL is an authorized distributor of Natera’s Panorama™ non-invasive prenatal screening test in Italy. This website has not been reviewed by nor is it endorsed by Natera, Inc. BIOTECHSOL is solely responsible for maintaining the content on this website according to its Natera partnership guidelines as well as promotional guidelines in Italy. Panorama Test detects the main trisomies, monosomies e microdeletions. The first two are also called aneuploidy, anomalies in the number of chromosomes. In a normal person the number of chromosomes is 46, divided into 23 pairs, while in these particular subjects there is one more (i.e. Trisomy) or less (i.e. Monosomy) chromosome. TRISOMIA 21 or Down Syndrome: Characterized mental disabilities from moderate to severe, whether or not associated with malformations of the digestive or cardiac system. TRISOMIA 18 or or Edwards Syndrome: Characterized by cardiac abnormalities, kidney malformations and other issues with internal organs. Linked to a low life expectancy. TRISOMIA 13 or Patau Syndrome: Characterized by severe neurological and cardiac defects. Low survival rate beyond the first year of life. TRISOMIA X or Triple X Syndrome: Subjects affected by this Syndrome can have delays in the acquisition of some motory or speech abilities, dyslexia or weak muscular tone. Also known as "Superfemale Syndrome". Jacobs Syndrome: Characterized by the presence of an extra Y chromosome in the genetic makeup. Affected Subjects can show a moderate mental disability, vascular problems, and a height superior to 6', which is the reason it is also called "Supermale Syndrome". Klinefelter Syndrome: Characterized by the presence of an extra X chromosome in a male individual. Subjects affected by this syndrome mainly manifest hypogonadism with subsequent hypo fertility or sterility. Other physical or behavioral anomalies are common, with their severity ranging among different individuals. Klinefelter Syndrome affected subjects tend to obesity. Turner Syndrome: Characterized by the lack of the second sexual chromosome (i.e. monosomy). Subjects affected by such Syndrome are females and they don't show evident symptoms until puberty, when they fail to develop secondary sexual traits. Usually sterile, they show hypogonadism, low stature, and their face may look older than their actual age. Complete molar pregnancy: Also known as hydatidiform mole. It is an anomalous form of pregnancy, in which a fertilized, but non vital, egg is implanted in the uterus. This brings to an anomalous pregnancy, with an abnormal Placenta growth. Causes are obscure but mother's age - under 20 and over 40 - can increase its incidence. The accuracy of a screening test is its most important characteristic. Normal screening tests in use today have a margin of error that goes from 5% up to 15% (including either false positive, or false negative). This means that these tests can relate a fetal Trisomy risk to a pregnancy, in which the fetus is perfectly normal (false positive); or, on the other side, fail to detect a chromosomal anomaly in a fetus that is, indeed, affected (false negative). With the Panorama Test, the chances of false positives/negatives is reduced almost to zero. During pregnancy, fragments of the fetus' DNA manage to pass through the placental barrier and enter the mother's bloodstream.These fragments are already detectable since the fifth week of gestation. The concentration of fetal DNA grows as the gestation progresses, until it disappears after birth. Thanks to this new and advanced technique it is possible, with a simple blood sample of the mother between the 10th and 12th week – when fetal DNA concentration in the bloodstream is optimal - to isolate such fragments for a chromosomal examination, ensuring a high sensitivity and specificity. Pregnancies for which an invasive diagnosis is not recommended.